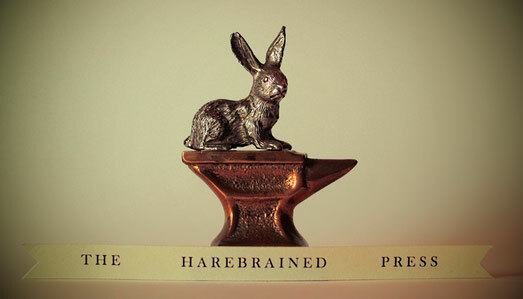 The Harebrained Press Project had taken me to unexpected places: into the history of printing; through intensive research of typography and the letterpress process; and into a day-long workshop that had taught me the fundamentals of typesetting. 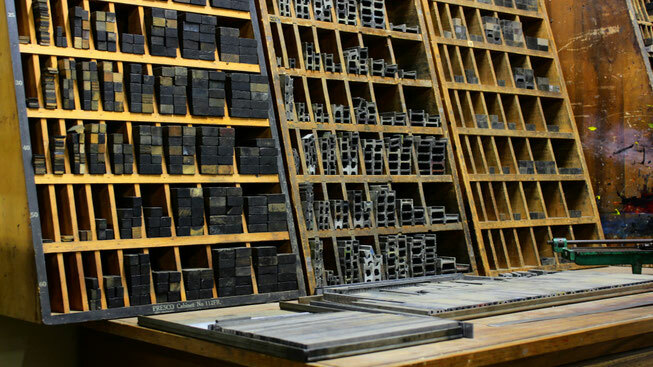 Over the next few months my friend Soren and I continued to visit the Melbourne Museum of Printing to learn more. The Working Studio, including three cylinder presses; Ludlow line caster for casting solid lines of type (middle-ground right); and the Linotype Machine (rear right), for composing and casting lines of type via finger keys (see below). The Linotype keyboard, which has 90 keys (uppercase on one side, lowercase on other), situated according to frequency of use. With Michael Isaacsen, the museum director, we discussed the technical aspects involved in my project; we learnt about the machines, equipment and archives in the collection; and we heard the story of the museum itself. 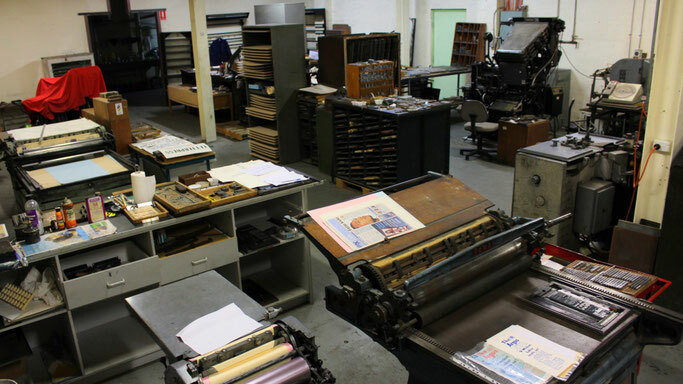 Not only is MMOP the largest printing museum in Australia, it is also the only one that is privately owned and run. This brings many challenges, not least paying rent on a huge industrial building. Michael explained how important it has been for him to promote the museum, both locally and internationally, and asked if we might be interested in becoming involved. He told us that he had been invited to attend the Inaugural Meeting of the International Association of Printing Museums in South Korea. The South Korean government had funded a venture to gather together representatives from printing museums around the world to promote their institutions, network, and to discuss establishing the International Association. However Michael’s commitments at the museum prevented him from making the trip. Would Soren and I go and represent our museum in his place? Korea is an important place when it comes to printing history because it’s here that the oldest book was printed using movable metal type. This book, called the Jikji, is an anthology of Zen Buddhist teachings printed in Chinese characters. It holds great significance for the Koreans, both as a religious text and as an artifact that testifies to their technical mastery—through typographical printing, well before its emergence with Johannes Gutenberg in the West. 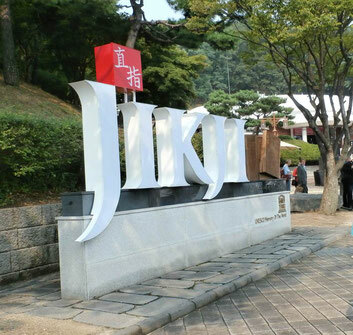 To commemorate this source of national pride, the city of Cheongju, where the Jikji was printed, holds an annual festival of demonstrations, exhibitions and performances. In 2016 the Cheonju government decided to use the festival as a forum for establishing a new means of preserving and promoting printing heritage: an International Association of Printing Museums. 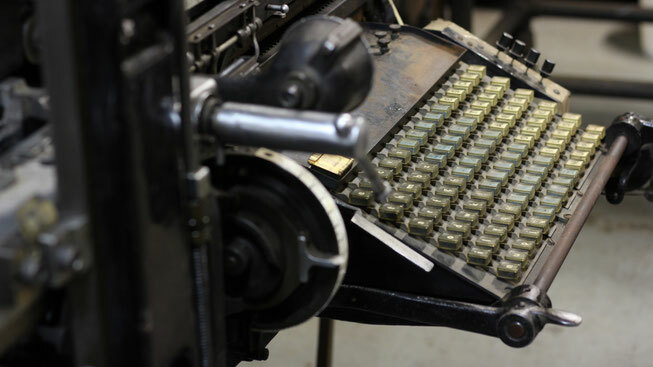 We had been offered the opportunity to participate in printing history. How could we say no?